Joe Patterson is the Public Affairs Associate for Friends of Cancer Research (Friends). Friends is an advocacy organization based in Washington, DC that drives collaboration among partners from every healthcare sector to power advances in science, policy, and regulation that speed life-saving treatments to patients. During the past 20 years, Friends has been instrumental in the creation and implementation of policies ensuring patients receive the best treatments in the fastest and safest way possible. At Friends, Joe focuses on developing, expanding, and managing the organization's communications platforms, supports Friends’ research and policy initiatives, as well as coordinates around Friends’ conferences and symposiums. Joe joined Friends in 2013 as the Administrative Coordinator for Dr. Jeff Allen, Executive Director at Friends. Before joining Friends, Joe worked as a Staff Assistant in the Government Affairs department of the Food Research and Action Center, a national non-profit in DC focused on anti-hunger policy. His work focused on direct Congressional outreach, strategic messaging, as well as network communications and organizing. Joe has held various other positions in the D.C. area offices focusing on policy research, government affairs, and communications around issue campaigns. These organizations include the Coalition on Human Needs, National Association of Regional Councils, the Earth Day Network, and the Washington D.C. Office of Congressman Eric Massa. 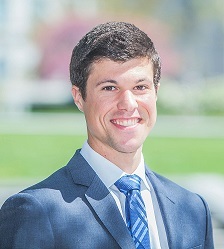 Joe graduated from American University in 2012 with a Bachelor of Arts in Political Science.